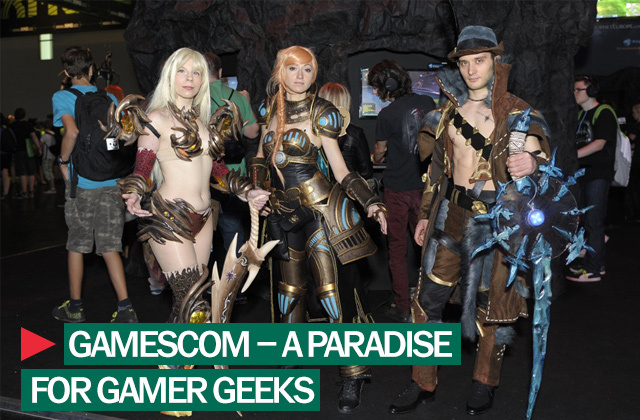 Last week, the world’s largest gaming convention, Gamescom, took place in Cologne for the third year running. 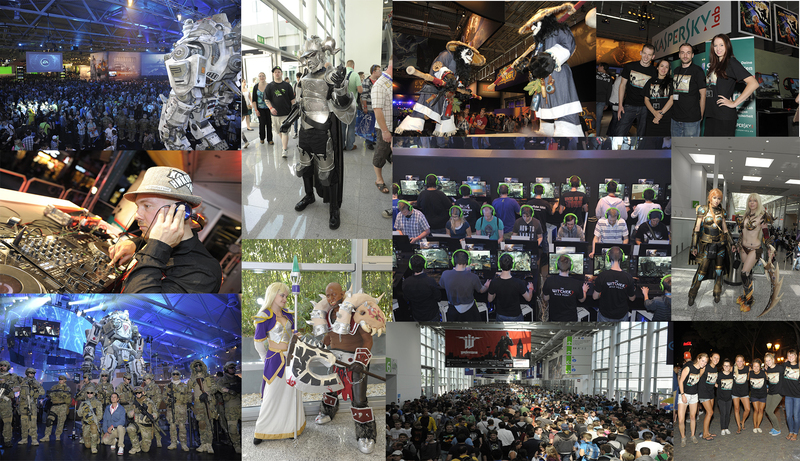 The many innovations and exclusive previews offered by the convention attracted about 340,000 people, a record audience. Day passes were sold out everyday and it was not uncommon to see fans waiting in line all morning to get hold of half-day tickets. To view trailers and obtain information on games like “Wardogs” or “Assassin’s Creed 4,” visitors had to wait for up to three hours. One of the absolute highlights was of course the unveiling of Microsoft’s new games console “Xbox One” and Sony’s “Playstation 4.” In addition, many visitors themselves were eye-catchers as they arrived in elaborate costumes (the trend of fans dressing up as video game characters comes from Japan and is called “Cosplay,” from the words “costume” and “play”). Lots of good were being offered at the Kaspersky booth. In addition to information about our products, visitors were able to try out two new games ,”X Rebirth” and “Secret Files: Sam Peters,” in the gaming mode of the new Kaspersky Internet Security. Many gamers now spend money on virtual goods. As a result, cybercriminals have increasingly been targeting game developers, putting gamers’ gaming accounts more at risk. A survey at our booth revealed that cybersecurity is becoming increasingly important for gamers. Many gamers now not only pay for the games they play, but they also spend money on virtual goods. As a result, cybercriminals have increasingly been targeting game developers, meaning that gamers’ gaming accounts are more at risk. The increasing popularity of gaming apps is another trend we observed. As smartphones are becoming commonplace, more and more people are passing their time by playing small games on occasion. When sitting around in a coffee shop or at a station, people often use the available public hotspots. When using these hotspots, it is even more important to protect yourself from cybercriminals with the proper software, such as Kaspersky Internet Security for Android. To end each day we came up with something really special this year. Celebrate like a Russian was the motto at Cologne Rudolfplatz! On Friday, Saturday and Sunday evening the DJs Yuriy Gurzhy and Katja Kubikova got the party started with a mix of balalaika-rock and roll, klezmer-ska and gypsy – punk. In spite of the rain, revellers danced late into the evening every night at the Kaspersky Russendisko. We are proud to have been part of this great event once again, and we are looking forward to doing it all over again next year.